Price includes basic harness for homebuilt/experimental aircraft! With GPS Navigation, COMM and Nav capabilities all built into the brand new Garmin GTN 650 from Gulf Coast Avionics, pilots are finding the GTN 650 can't be beat for value, features, and quality. The GTN 650 is a compact 2.64 inch tall package. The new touchscreen of the GTN 650 offers many multi-purpose functions and features such as high-res landscape mapping, graphical flight planning, satellite weather, targeted traffic display, plus much more. Aircraft pilots are embracing the new touchscreen and navigation found only on the Garmin GTN 650 from Gulf Coast Avionics. The Garmin GTN 650 comes with a 2,280-channel VHF communications transceiver. The GTN's transceiver is certified. A standard 12 Watts (or optionally available 16W) output is possible. The GTN 650 allows for the selection between 25 kilohertz and 8.33 kilohertz channel spacing. An on screen number pad allows for the setting the COMM frequency. All it takes is a swipe of the finger to display active and standby frequencies. 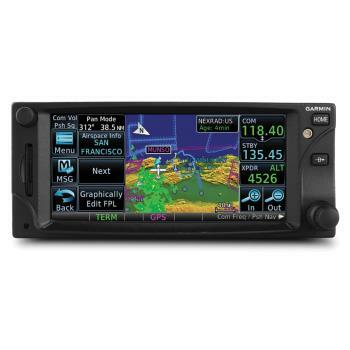 The Garmin GTN 650 additionally stores latest and favorites frequencies for quick frequency changes on the fly. As an extra function and also safety measure, the GTN 650 allows an airplane pilot to be able to swiftly and instantly dial emergency frequencies by holding down the volume button. 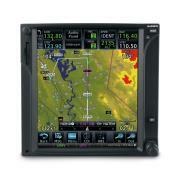 Pilots everywhere are enjoying the new touchscreen that the Garmin GTN 650 offers. The GTN 650 is the first GPS Navigation, COMM and Nav combination to have a touchscreen that is FAA certified. It's bringing along a lot of attention to the aircraft industry by being the first touchscreen in the avionics market with these features. With a 4.9 inch high resolution TFT display, the GTN 650 touchscreen is easy to use and allows for pilots to be only two touches away from any of the major functions. With just a swipe of the finger a pilot can scan through detailed maps, weather information, and way points. With a beveled edge on the front of the unit, pilots are able to grip the GTN 650 while in both smooth and turbulent flight conditions. The normal concentric flight knobs are still there for use if the pilot so chooses. With high resolution terrain mapping the GTN 650 brings a greater enhanced situational awareness. Topography features, cities, airports, terminal areas, SUAs and more are all displayed on the Garmin GTN 650. Pilots will also find the optional Class W TAWS alerting to enhance airspace awareness. Whenever on the ground the Garmin SafeTaxi US airport diagrams provide the maps of runways, taxiways, FBOs and also hangers. With the optional GDL 69 Series datalink receiver combined with the GTN 650 and also XM subscription you can overlay the actual NEXRAD radar around the moving map display. Other options include adding a Garmin traffic system to determine and map other planes in the vicinity. The GTN 650 also can control the GTX 32/33 remote transponder. The GTN 650's touchscreen user interface and simple to use navigation system allow aircraft pilots quick access to vital information. With graphical trip planning features built right into the GTN 650 the whole aircraft course can be altered and modified to incorporate additional way points or make simple changes to the present ones. Pilots can even insert Victor and jet airways into the system. The "Rubber Band" characteristic of the Garmin GTN 650 is brand new to the world of aircraft navigation. With the GTN's "Rubber Band" feature aircraft pilots can quickly alter any leg from the route and make adjustments to the deviation or ATC amendments rapidly as well as effortlessly. The most recent and closest airports can be added as way points or even "Direct To" destinations. With poor climate or IFR conditions the GTN 650 enables numerous landing options. The SBAS/WAAS-certified, 15 Channel GPS receiver reports 5 position updates for each second. That allows for GPS guided LPV glide path instrument approaches right down to an unbelievable 200 feet. The Garmin GTN 650 system includes the entire Vhf routing functions using a 200 Chanel VOR/ILS together with localizer and glidescope. When the pilot inputs procedures for that GTN it will then preload NAV frequencies. The pilot can then manually switch to and can auto select the VHF NAV source for ILS approaches. The GTN enables specific course change and roll steering outputs which can be coupled to select autopilots in order that IFR airline flight procedures may be flown instantly, automatically. The ARINC 424 leg types (other than RF legs) are included. When the GTN 650 is combined with a G500/G600 Flight Display the two can fly fully coupled missed approaches including heading legs.